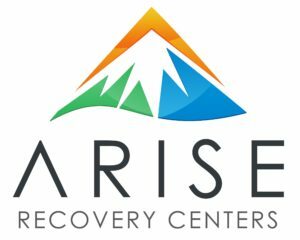 Join us on September 15th for our incredible Recovery in the Park Rally celebration. 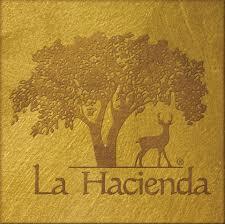 This year it is going to be bigger and better than ever! We have included a 5K to start off the festivities. This is a great free family friendly event that shows us that recovery can be fun. Join us and bring a friend. Please use the link below to sign up for the Race to Recovery! It’s time to register for the Race to Recovery 5K Run/Walk and Kids 1 Mile Fun Run! This event will help kick off our 7th Annual Recovery in the Park that is a free, family friendly event showing that life in recovery can be fun! The Kids Fun Run will start at 7:30am, followed by the 5k at 8am. All of the activities will be held at the Trinity Park Pavilion at 2300 W 7th St, Fort Worth, Texas, 76107. Our 5k Run/Walk will have chip timing available, and all registrants will receive a custom Race to Recovery t-shirt (only those registered before race day are guaranteed a shirt). Kids that just want to run the 1 mile Fun Run on race day do not need to register. Our 5K Run/Walk will begin at 8:00am. Come give us your best and set a new PR or push yourself to complete your first 5K. There will be plenty of energy and excitement on the course! All levels are welcome! We will have awards for Overall Male and Female, Overall Masters Male and Female, and traditional 5 year age group awards. 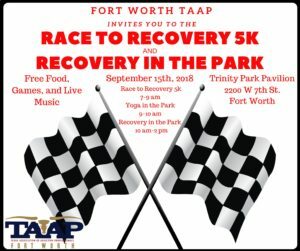 Immediately following the race, a certified yoga instructor leading a group cool down workout, then all are welcome to join in the FREE food, games, and fun at our Recovery in the Park celebration! After the race, walk over to our 7th Annual Recovery in the Park where we will have free food, a photo booth, living mural, yard games, live music, a kids fun zone, and an awesome vendor village! We are in great need of volunteers for this event. An event on this scale wouldn’t be able to happen without the amazing dedication from our volunteers! Please click on the link below to sign up to volunteer at this event. Thank in advance for your help.